Instant gifts for a instant Christmas surprise ! 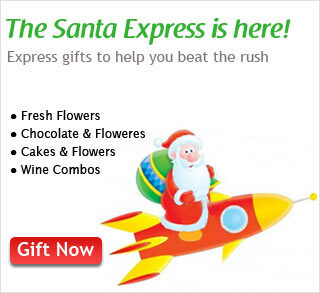 we have a gifting option whereby your gift can reach your recipient within 24hrs! Isn’t that an exciting option? It’s the holiday season and when you think of gifts, festivals become impossible without flowers. So this festive season, show your love with a bouquet of Christmas flowers and hampers exclusively designed to suit the choice of your loved ones. To make your selection simpler, we have put together collection of our top selling floral hampers. So hurry and send these beautiful gifts. From all of us here at Tajonline.com, here’s wishing you and your family a Merry Christmas !